Some medical conditions require surgery for treatment. 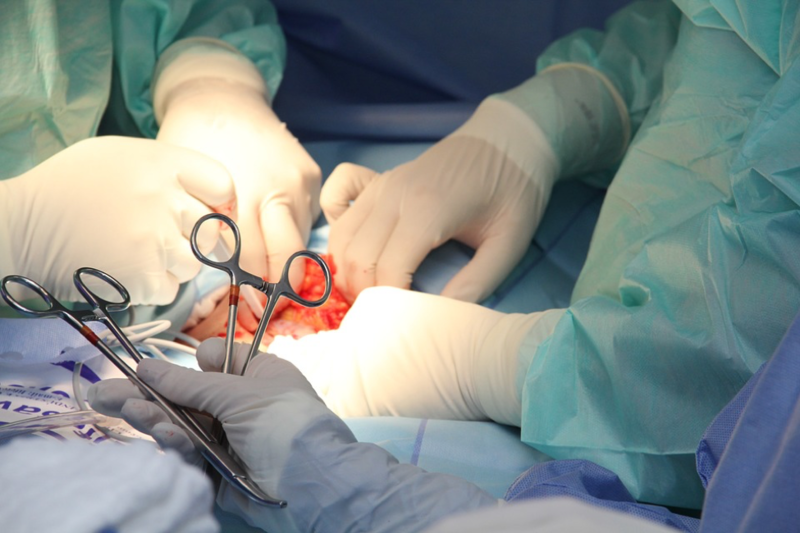 All surgeries are associated with certain amount of pain and discomfort. However, some surgeries are associated with increased level of suffering. In some cases, the pain and discomfort do not disappear even with the use of painkillers. In this article, we will discuss some of the most painful surgical procedures that you may have to undergo despite the discomfort associated with them. Gall bladder removal or cholecystectomy is done when you have chronic gall bladder problems or when your acute gall bladder problem becomes very severe. Gall bladder problems can be due to gallstones or due to infections. Cholecystectomy is of two types: laparoscopic cholecystectomy and open cholecystectomy. Laparoscopic cholecystectomy is generally preferred as it is less painful and the recovery time post surgery is also short. However, open cholecystectomy is recommended for patients who have scar tissues from previous surgeries and who have severe gall bladder disease. In severe gall bladder disease the surrounding tissues are also affected and performing a laparoscopic surgery to remove the gall bladder may not be effective and lead to complications. In open cholecystectomy you may experience pain after the surgery and during the recovery period. It may take 4-6 weeks for the pain to subside. Gradually return back to your normal diet. Start with liquid diet such as soup and clear liquids. Avoid high–fat foods and stick to low fat diet. Eat a lot of fiber containing foods such as nuts, legumes and whole grain bread. Gall bladder removal (open cholecystectomy) is one of the most painful surgeries. However, considering its benefits, patients prefer the surgery over the pain they experience. Liposuction is a cosmetic surgery performed to remove the fat from areas of the body that have not slimmed down even after diet and exercise. Liposuction is usually an elective surgery; however, in case of certain medical conditions such as benign fatty tumors and abnormal fat metabolism it may be recommended by your doctor. Most people suffer from severe swelling, bruising and pain for 7-10 days after the procedure. The discomfort can last for several weeks and how fast you recover depends on the amount of fat that is removed. You can resume eating your normal diet. Avoid alcohol for 48 hours after surgery. Make sure your body gets sufficient rest. Take the medications prescribed by your doctor regularly. Maintain proper hygiene and shower regularly. You can wash your incisions with soap and water and dry them with a towel. You can consult your doctor and take painkillers for your pain and discomfort. Avoid aspirin, ibuprofen and other NSAIDs that can promote bleeding. Bone marrow donation is being advocated as an important and noble deed to help some one’s life. However, bone marrow donation is one of the most painful surgeries. Before your procedure the doctor may give you injections to increase the stem cells in your blood. This injection can cause vomiting, muscle pain, headache and fatigue. You can take a pain killer to relieve the discomfort. Most donors experience hip and back pain, fatigue and throat pain after bone marrow donation. It can take up to 20 days for your pain and discomfort to disappear completely. However, most donors are able to resume their activities 1-7 days after the donation. Take painkillers under the supervision of your doctor. Avoid aspirin and other NSAIDs. Take a lot of rest for the first 48 hours. Avoid doing strenuous activities for 7-10 days after surgery. If you have lower back pain you should use an ice pack for relief. Eat a nutritious and balanced meal. Hysterectomy can be done as a laparoscopic procedure or as abdominal hysterectomy. The recovery period for laparoscopic hysterectomy is short and associated with less pain and discomfort. However, abdominal hysterectomy has a longer recovery period and is more painful. It may take 4-6 weeks to recover after abdominal hysterectomy. As the abdominal muscles are involved in almost all physical activities, you may find even standing up, sitting down and rolling in bed painful. You should take rest at home for 4-6 weeks. Avoid household work and other strenuous activities. You can walk around gently to help prevent blood clots in your legs, but avoid lifting heavy objects. Eat a balanced meal and drink lots of water to avoid constipation. Regularly take your prescribed medicines. Keep your incision clean by washing with soap and water and drying it. Check for infections. Total hip replacement is among the most painful surgeries. The recovery period and the rehabilitation involved in this surgery are extremely painful. The pain can radiate from your hip and reach your groin and legs. You can resume your routine activities 6-8 weeks after the surgery, but complete recovery period can range from 6-12 months for most people. Eat a nutritious diet, but avoid vitamin K supplements or vitamin K rich foods if you are on blood thinners such as warfarin. Vitamin K rich foods include cauliflower, broccoli, green beans, soy beans, lettuce etc. Swelling is common in most patients. To reduce swelling raise your leg and apply ice. Rest and avoid unnecessary physical activities. A lumbar puncture is done to collect the cerebrospinal fluid, which surrounds the brain and spinal cord. It is a diagnostic procedure done to diagnose medical conditions such as cancer, inflammation, multiple sclerosis or an infection such as meningitis. Soon after the procedure some people complain of a severe headache that can last up to 48 hours. Nausea, vomiting and dizziness may also occur along with the headache. You may also experience discomfort and pain in your back. Drink lot of fluids to reduce its severity. Lie down flat with your head raised for 1-4 hours after your surgery to prevent a headache. In breast augmentation the appearance of your breast is improved by placing breast implants or by transferring fat to the region of your breast. You will usually be discharged after an hour of the surgery. The majority of females experience severe pain for up to 2-3 days after the surgery. The pain can be so severe that it is difficult to even get out of bed and stand up on your own. It may take a few weeks for the pain to subside completely. Decrease your physical activity until you are advised by your doctor to get back to your normal routine.